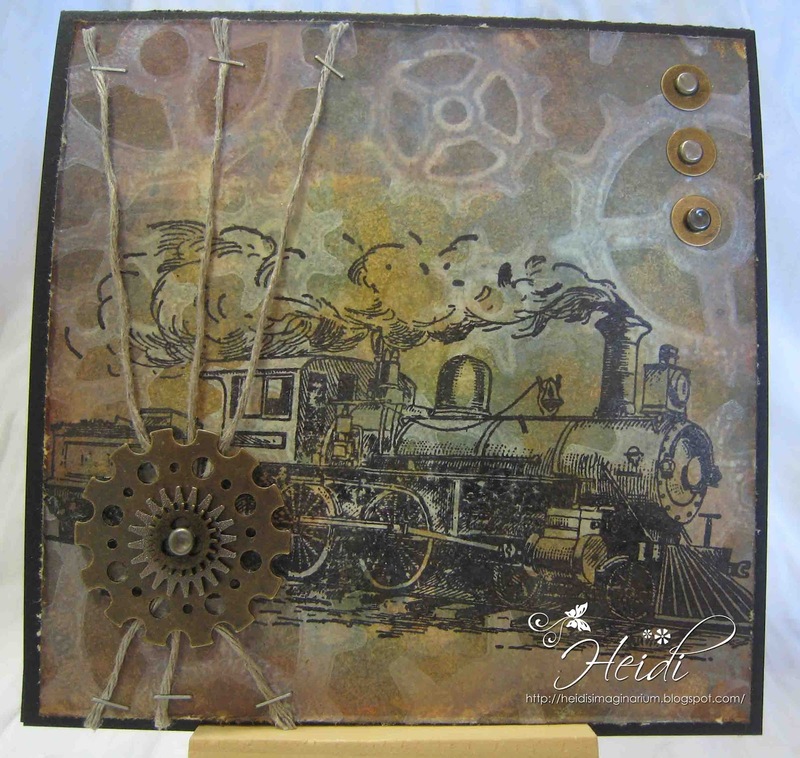 Linda at Studio L3 is starting up the Tim Holtz A Compendium of Curiosities Volume 2 Challenge. 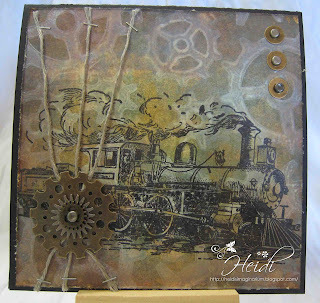 I made background of this card using picket fence distress stain on my custom foam stamp. 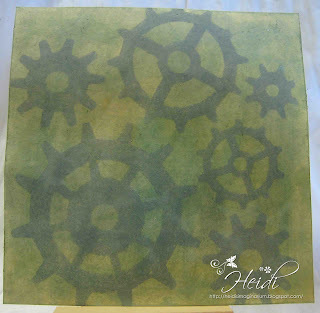 This is one print of my gears background stamps. I know I will be using this "new" stamp a lot! Fantastic work, Heidi! 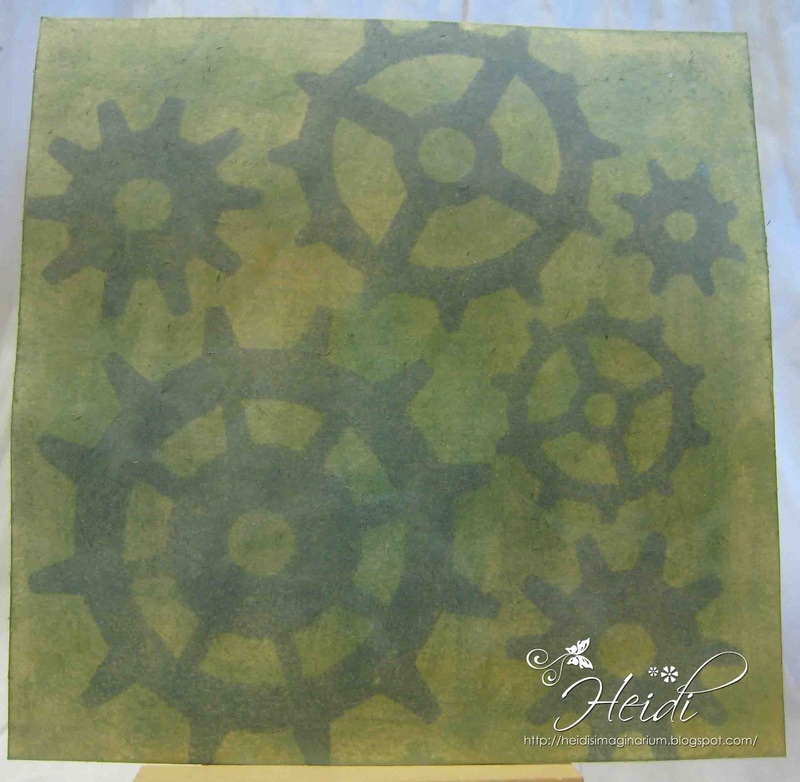 The gears make such a cool background, and your card is steampunk perfection! Thanks so much for joining the CC2C! This is great! I love you used the challenge to do a background and it came out fabulous! What a gorgeous card Heidi. I'm enjoying your blog, lots of lovely eye candy! Love this card with your "new" gear stamp! Very cool! Perfect background stamp. Hi Heidi - I love your card, the background is so cool! !